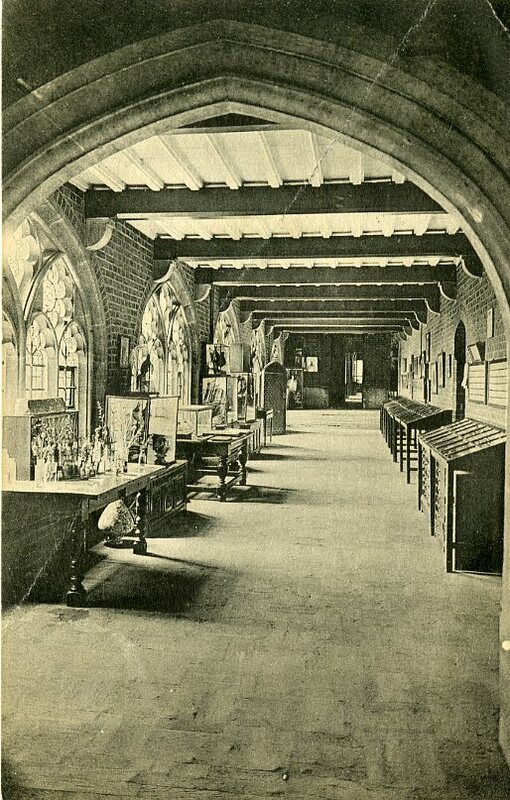 The items listed below show the eclectic nature of gifts to the College Archive. 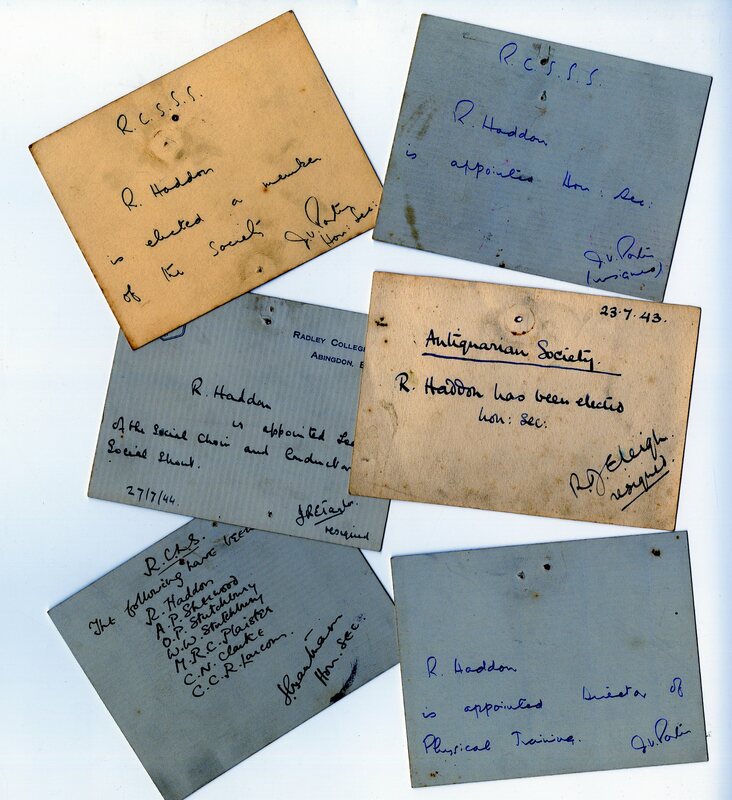 If you have Radley memorabilia which you would like to draw to our attention, please contact the Archivist archives@radley.org.uk, who would love to hear from you. All gifts are accepted at the discretion of the Archivist. 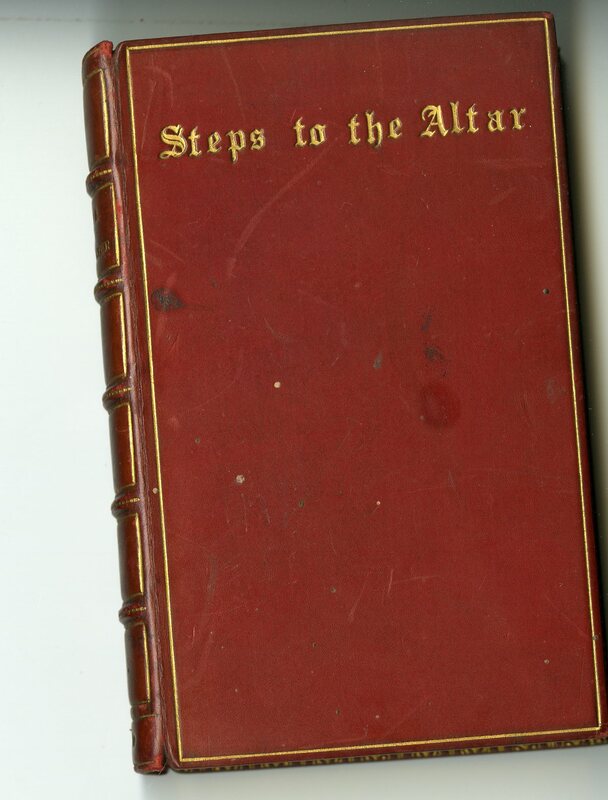 Sent all the way from New Zealand by Brian Roper, OR, the copy of ‘Steps to the altar’ by WE Scudamore which George Wharton gave to his grandfather William Roper in 1881. Gift inscription by George Wharton. 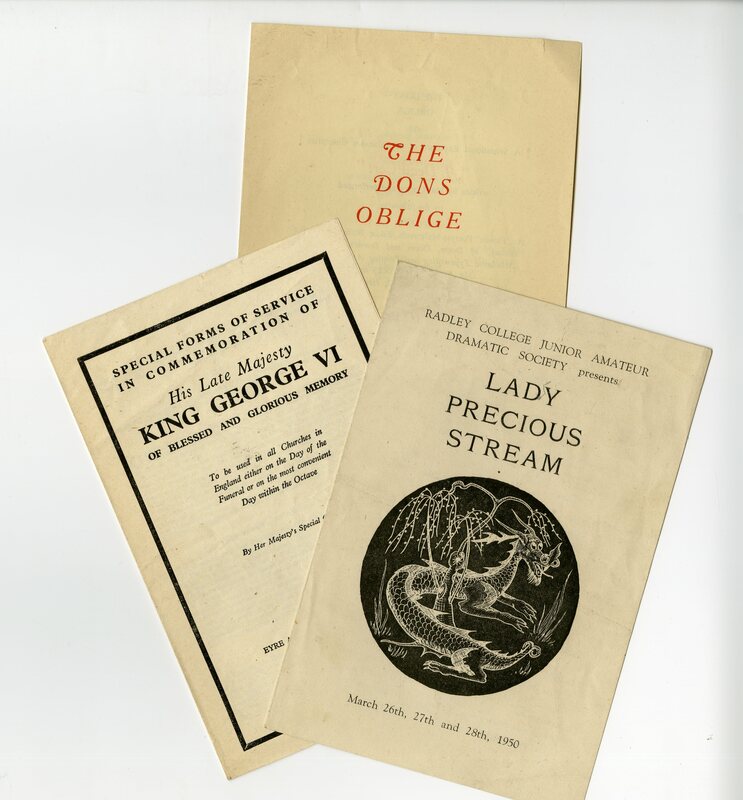 A big thank you to Peter Carolin, OR, who sent a collection of programmes from events in the early 1950s. Especially pleased to receive the Chapel Order of Service to Commemorate King George VI – an event for which we had no other memorabilia. 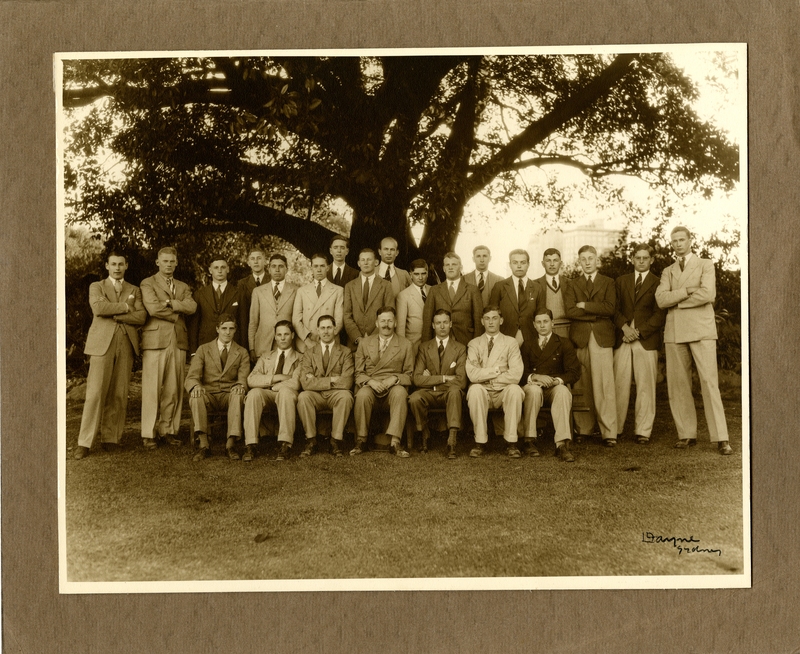 We are very grateful to Nigel a Brassard who acquired this early photo of a Radley Social group at auction. 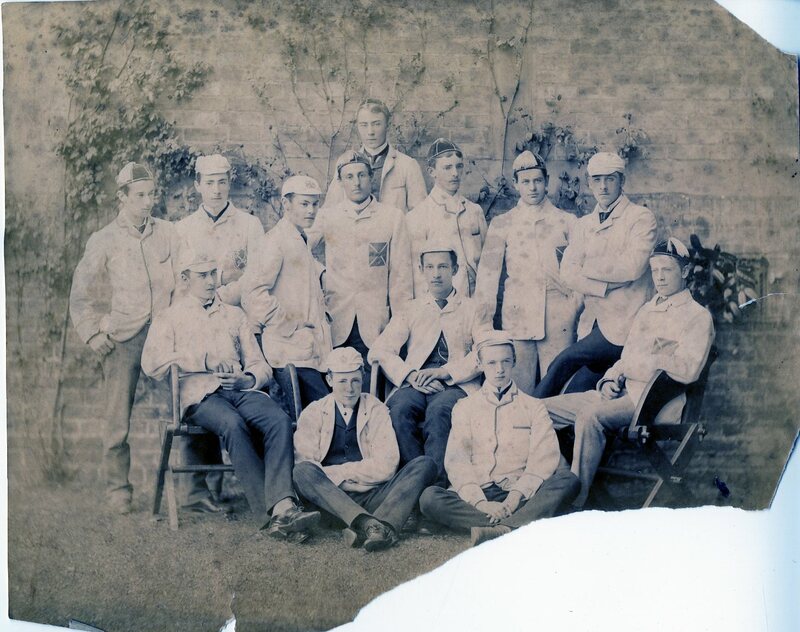 He has also given a photo of the Rowing VIII of 1882, which he has donated to the Boat Club. 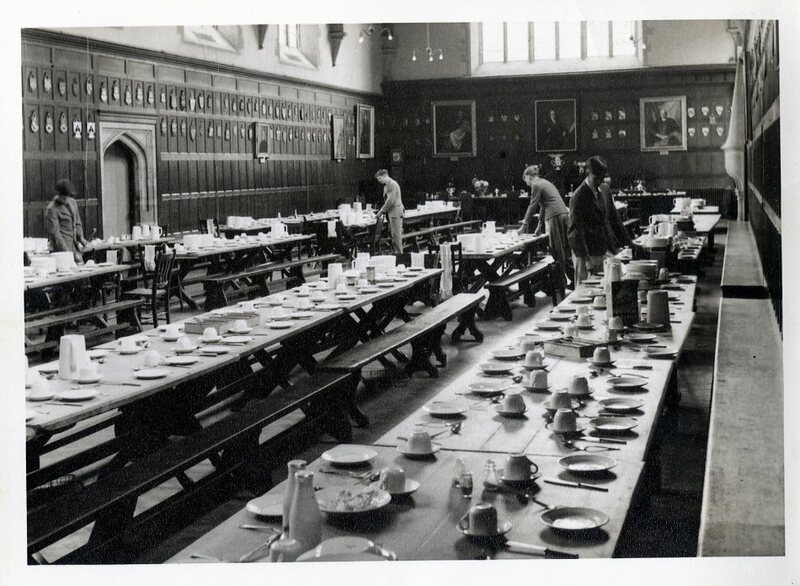 A lovely set of photos dating from before 1952 were left at Reception by an anonymous donor, including this very rare interior shot of Hall. 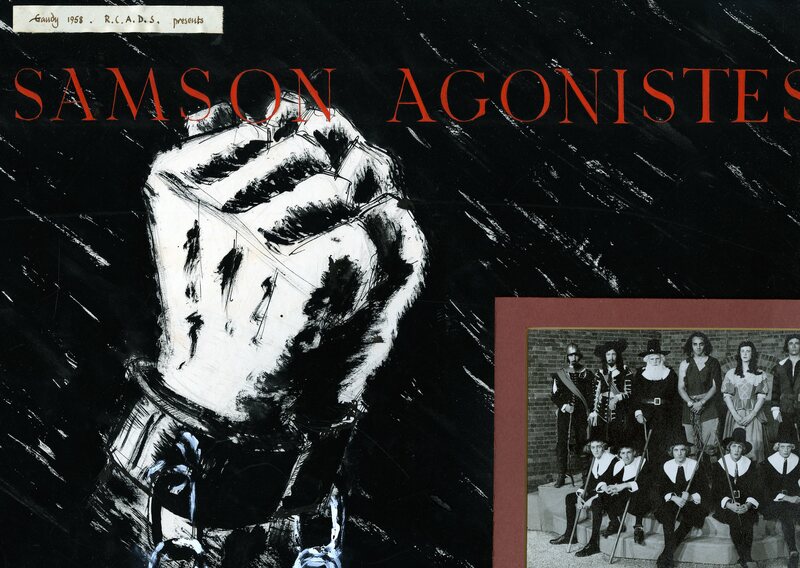 A poster and photograph of the cast of ‘Samson Agonistes’ perfomed by RCADS at Clocktower on Gaudy 1958. Rescued from the Old Gym Theatre reconstruction. 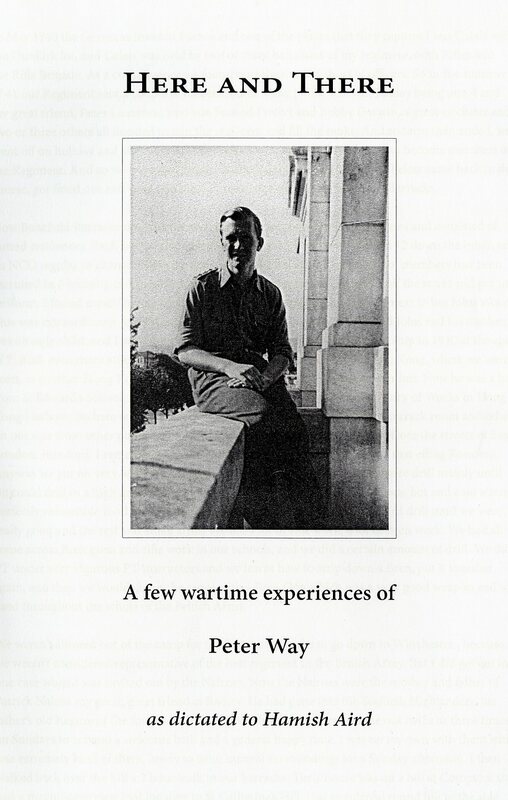 Oral history – remembering WW2. 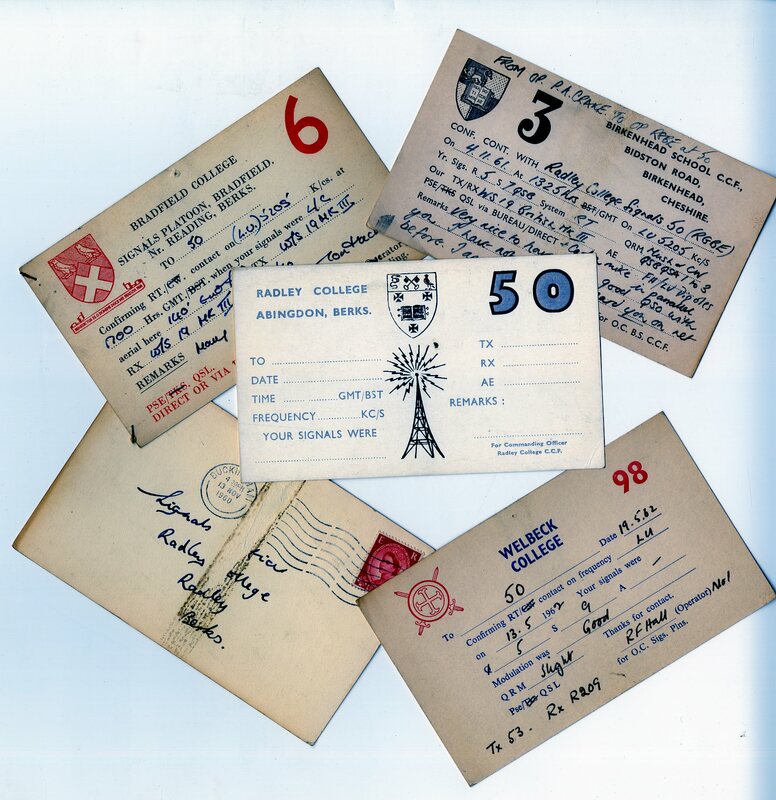 A set of QSL cards exchanged between CCF corps at schools around the country in the early 1960s was carefully preserved by Robin Beresford-Evans, D Social 1959, and given to the Archives by his sister, Felicity Wood. 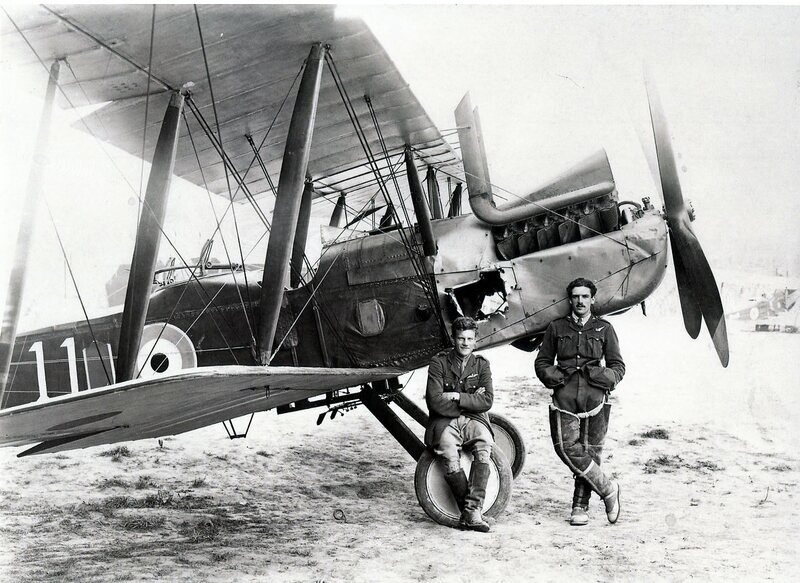 2016 marked the 75th anniversary of the RAF section of the Cadet Corps at Radley. 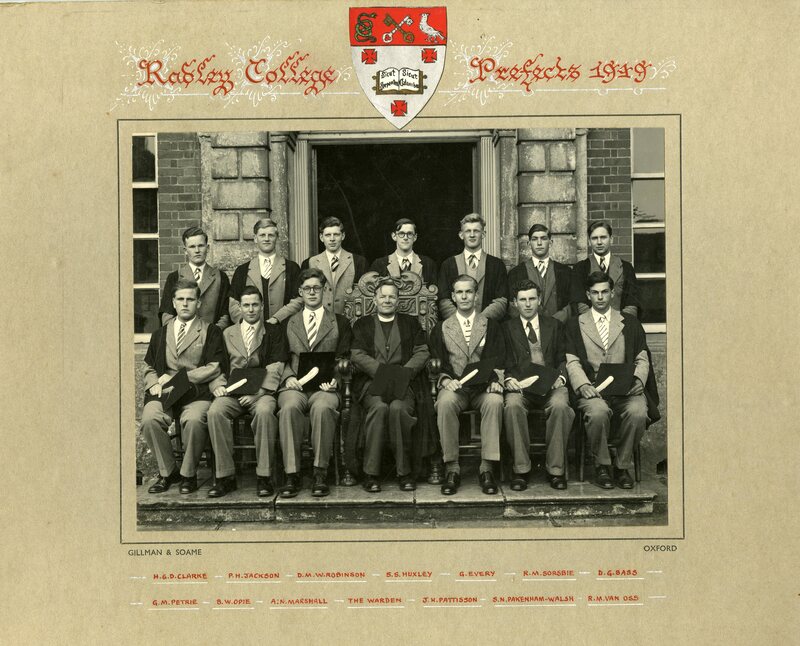 During WW2 the cadets of Radley College, Eastbourne College and Abingdon School combined to form one unit, working with the Home Guard to protect the Thames line. There was an exhibition and dinner in April to mark this history. 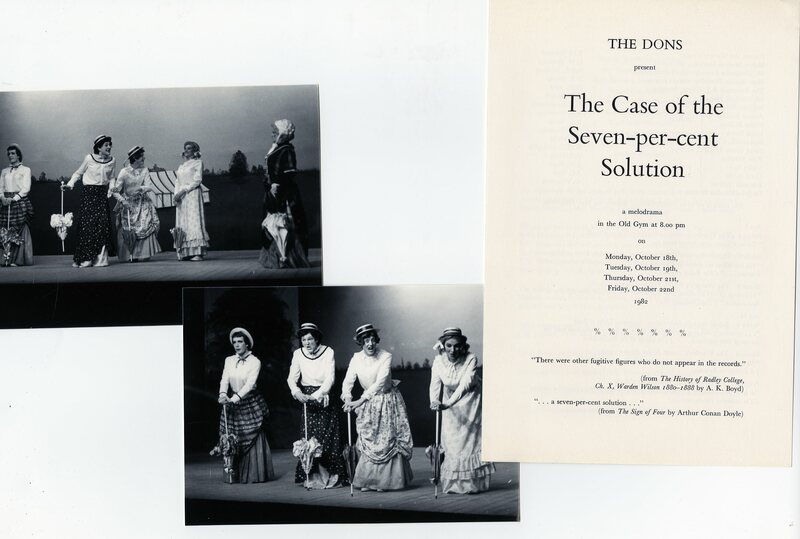 Amongst a wonderful collection of memorabilia from the late Peter Way, OR and Radley Don, is an album of photos from the Dons’ play of 1982. 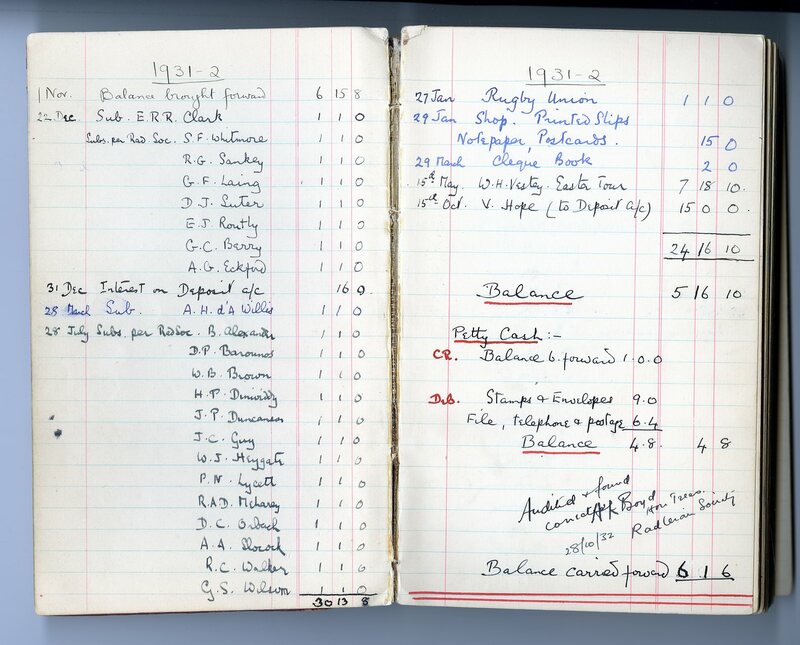 Amongst other items donated to celebrate the centenary of rugby being played officially at Radley, was the account book of Radley Swallows, the OR rugby club. 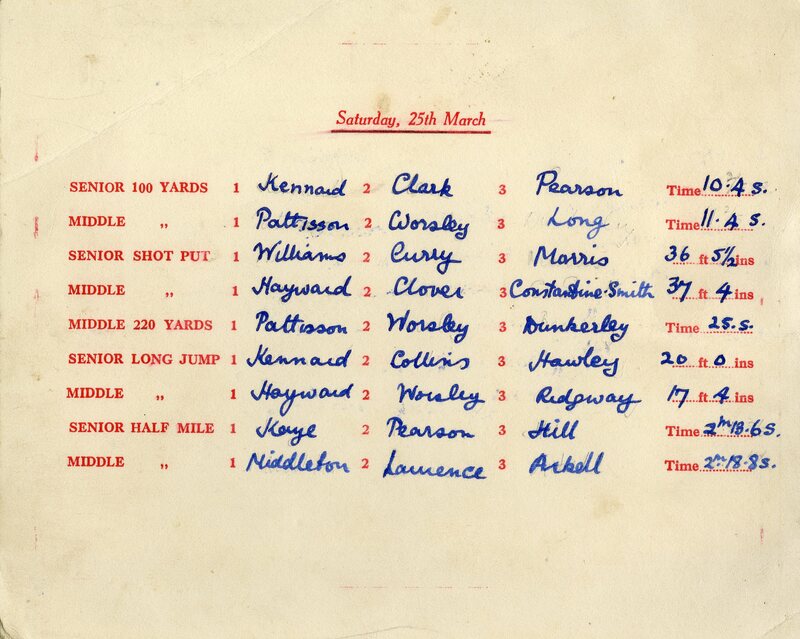 Other items included the ‘Batten Books’, the coaching notes compiled by Jim Batten, a Don in the 1950s-60s: the originals were brought to Radley by his captains so that digital copies could be made. 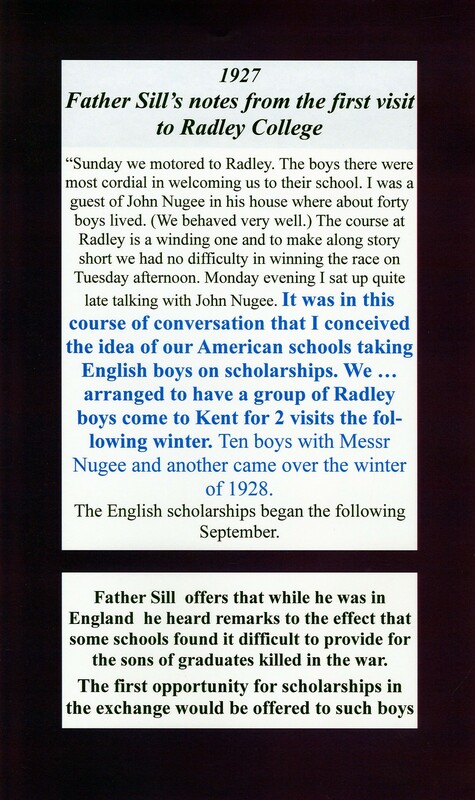 The story of 100 years of rugby at Radley can be read here. 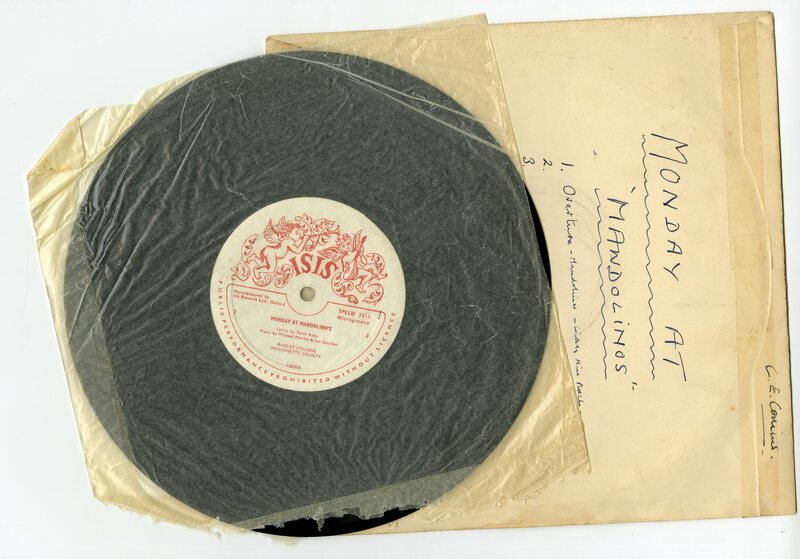 Alan Donner, OR, has kindly donated material from the collection of his late father, EJS Donner (B Social 1916). 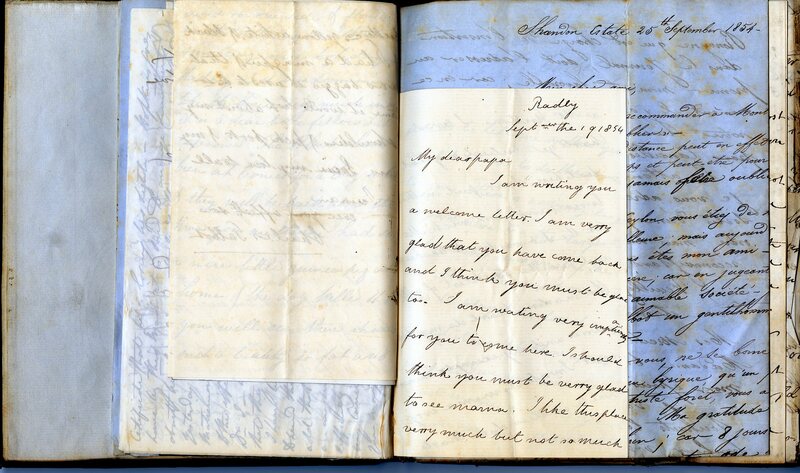 Alan has allowed us to digitise his father’s personal photo album. 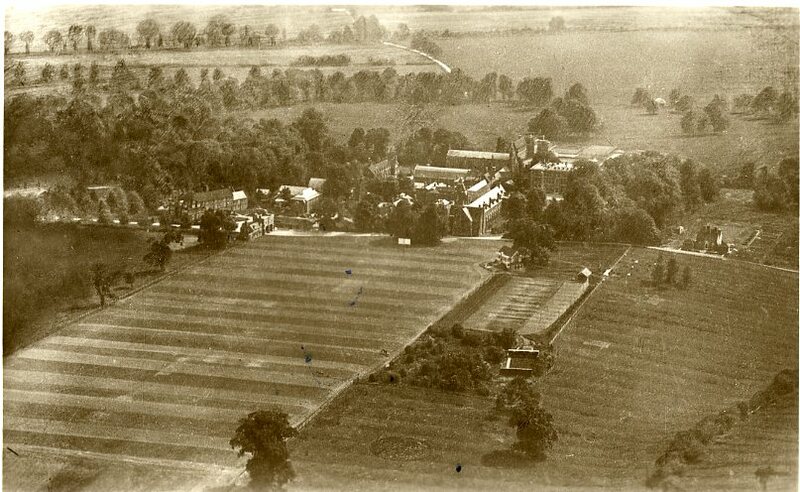 All the individuals in the photos were identified, including one of the earliest whole school photos. 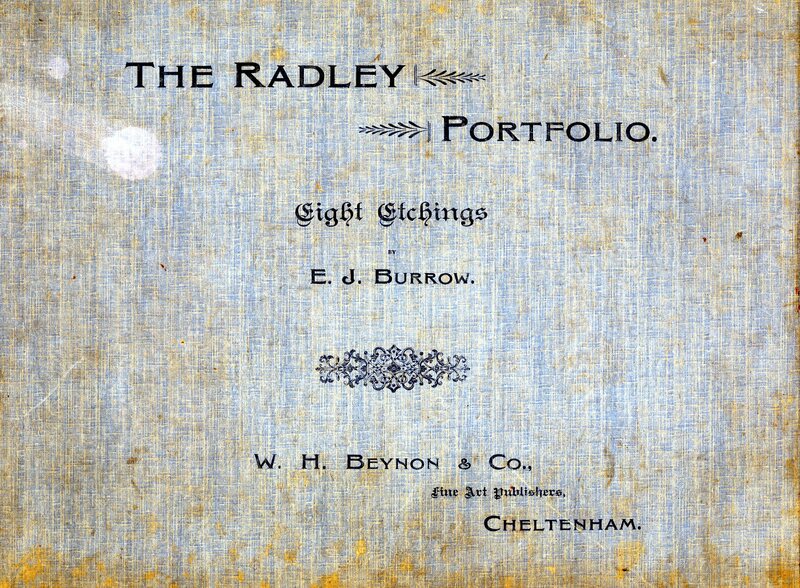 In addition, there is a complete volume of EJ Burrows Radley Portfolio. We have copies of the individual etchings but not the book so it is wonderful to have a copy. 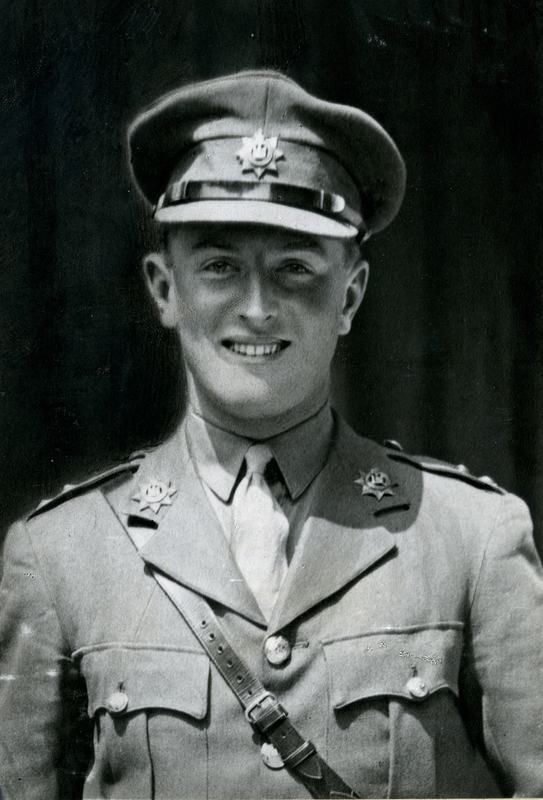 Edward Lethbridge, OR, fortunately spotted this photo in a bookshop in Cirencester, and has kindly donated it to the Archives. 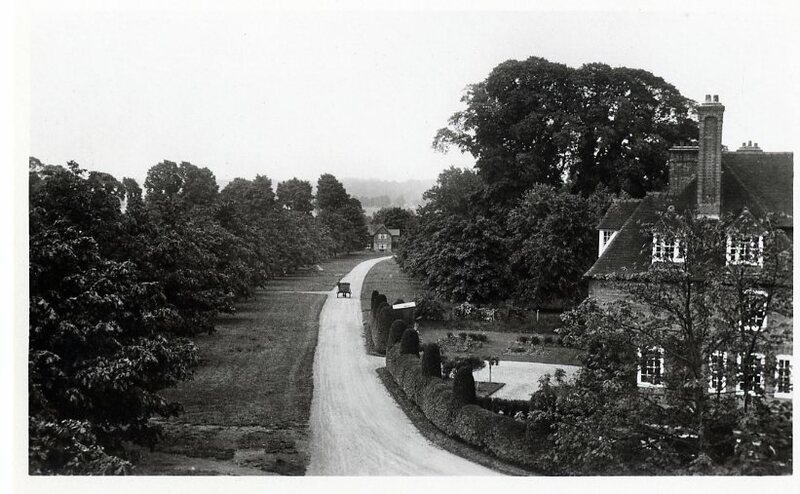 It is the best print we have of Radley Social Fours at Sandford Mill in 1907. 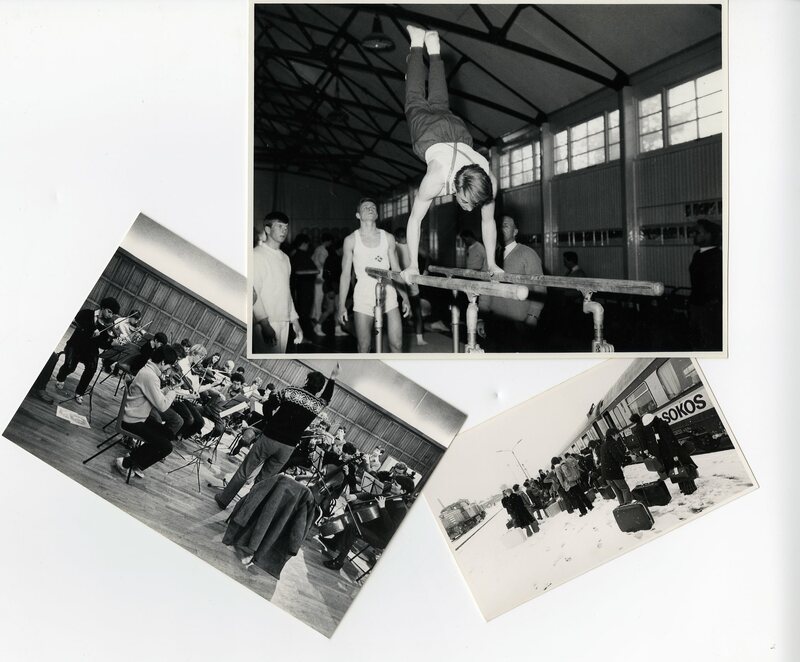 A selection of photographs from the late Andrew Marshall, G Social, 1944, Senior Prefect 1948-9. Donated by his family. 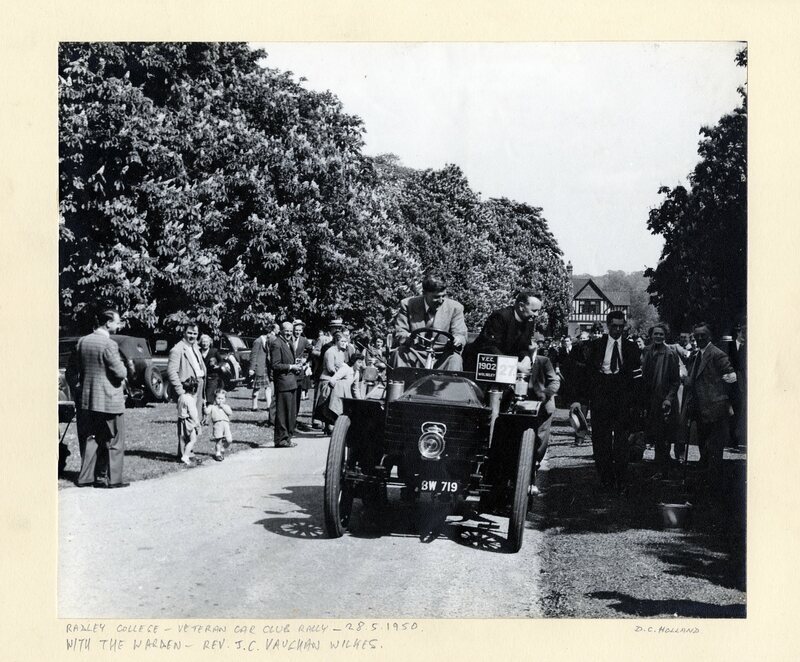 The diary and photo album compiled by Arthur Kershaw, F Social, 1926, when he was selected as opening bowler for the Public Schools British Empire Tour team in 1931, were recently given to Radley College Archives by his family. 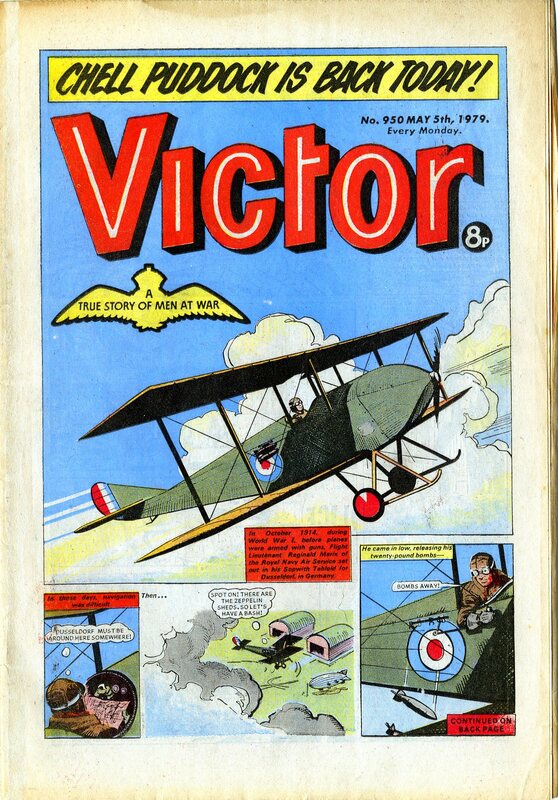 Radley has donated a digital copy to the MCC Museum at Lords.